AKTU Even Sem Date sheet 2016-17 Download AKTU (UPTU) B.Tech 2nd 4th 6th 8th Sem Exam Schedule 2016-17 at aktu.ac.in AKTU B.Pharma MBA MCA B.Arch BFAD BHMCT MAM Time Table 2016-17 Pdf (Final) is publish on AKTU Website www.aktu.ac.in or from direct download link given below. 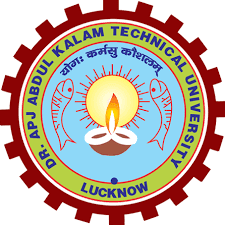 Dr. APJ Abdul Kalam Technical University (APJAKTU) formerly UP Technical University (UPTU) has released the final date sheet of even semester examination which is going to held in month of May-June 2017. Time Table of APJAKTU/AKTU/UPTU is available online on https://aktu.ac.in/ in pdf format. Students can download the tentative date sheet of even semester examination 2016-17 from the official website of Aktu or from the direct download link given below. AKTU has released the date sheet of B.Tech, B.Pharma, MBA, MCA, BHMCT, BFAD, B.Arch and MAM courses. The Date Sheet of Aktu EVEN semester is available online in pdf. Many of the students searching time table of AKTU semester exam on internet. Our team will give you all the updates and information of Even semester exam 2016-2017, so keep visiting our website. Generally AKTU releases the date sheet of all the courses in single pdf file. First it has releases the tentative date sheet, so that if any correction is needed is to be corrected in time, now AKTU have released the final date sheet of EVEN semester exam.